Introducing our second system for the Mk7 Gti, I have had numerous request for a system with a bit more tone than our original setup. I built this… Mk7 EVO system..i must say it sounds Fantastic with Zero drone in the cabin…. The system comes complete with a choice of 4 styles of 101mm tailpipes and is built utilizing manderal bends. All is Tig welded together with some Mig construction in certain places. I am pleased to announce the release of our cat-back system for the new POLO GTI 6C fitted with the 1.8t Direct injection engine. 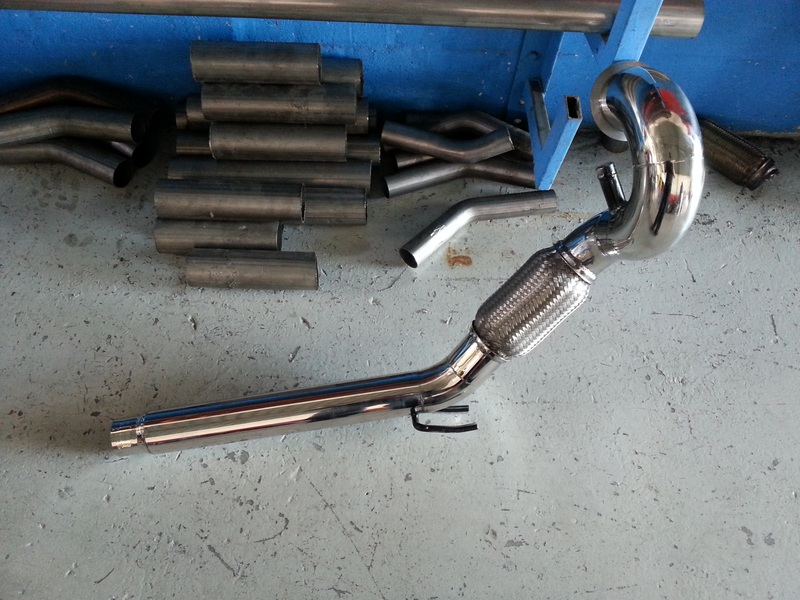 We offer 2 choice of tailpipes, Dual Jet square and the Dual Evo Rounds. 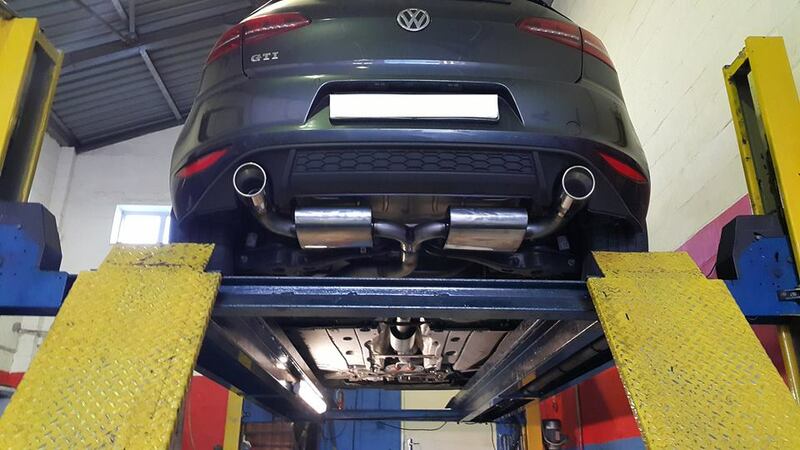 This particular car is fitted with the Dual Jet units. Tone is fantastic nothing over the top. 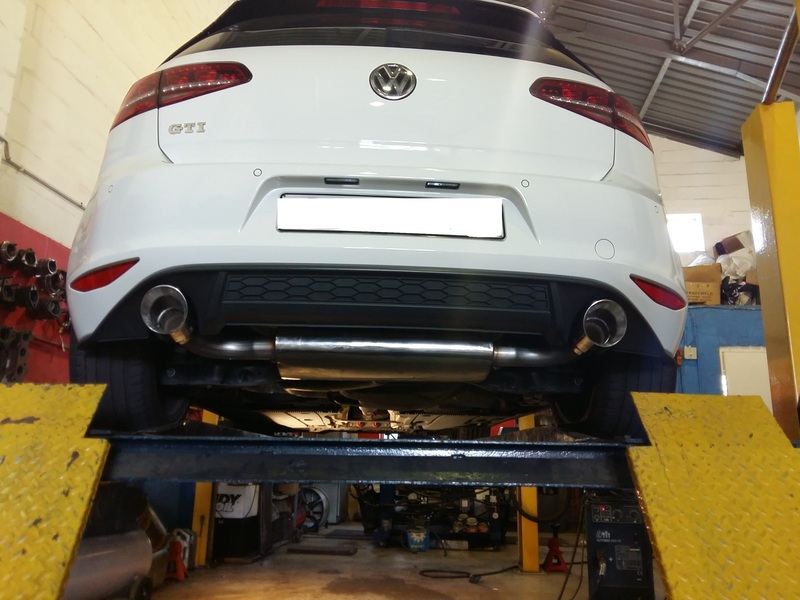 We also now offer the Downpipe in bolt on form for this car in 89mm tapering down to 76mm and bolting straight to the stock catback if needed. 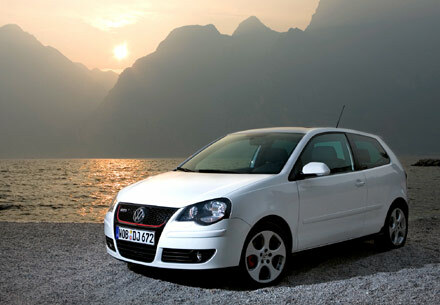 We have dyno developed a performance exhaust system for the POLO GTi fitted with the 1.8T engine. The exhaust consists of a 63mm down-pipe which enlarges the surface area at the neck of the down pipe by almost 33% from the std size. The down-pipe is then mated to a 2 box 63mm system built with special design stainless steel -silencers. The tone not intrusive at all into the cabin with a sportier overall sound and finished off with a twin 76mm high polish tailpipe. We have tested various combinations and feel that this is the best solution in terms of power, reliability and sound.